Hitting the target of poverty or firing blanks? Today our still fresh Government will release its first major statement about poverty. It already has had mixed responses but an open mind might wait until we see what it says then we can wait a little to see if anyone does what it says. One hopes that the approach doesn’t set to establish poverty as a unique and new condition that requires a raft of quangos, new trusts, and significant expenditure on response infrastructure. Some of the answers to the questions are blindingly obvious. There is in every community within walking distance a capability to address poverty, and with a bit of assistance it could see that capability contribute significantly to the eradication of poverty. They are called schools and they are networked and with a change of attitude could well be the pathways from poverty into the space where there is equality. For there is general agreement that poverty and literacy go hand in hand to attacking the shameful levels of poverty in this blessed and rich country. To call it “child poverty” is cute but somewhat dangerous. There are adults living in the condition that results in child poverty – it is poverty, full stop! Furthermore, the issues are not totally age-related but are embedded across the society in which we all live and for which we have responsibilities for all those who make that society what it is – the good, the bad, and the ugly. When it comes to those large societal issues there is no them, only facets of us. Someone else said that but it rings true to me. I started school in 1951 and the shadow of World War II still hung heavily over the country. But were children in schools ignored? Our health was constantly monitored by health professionals who prodded and seemed always to poke needles into us, and weighed us and generally got hold of parents with support and advice when necessary. A half a pint of milk, often warmed by the sun I recall, was our compulsory morning tea. Dental nurses followed with interest the growth of our teeth and exhibited interest in what we ate. There were health camps for young ones who would benefit from fresh air, a change, and perhaps better habits. My point is that there is a lot that schools can do and some are doing already to provide the tools that have some potential to beat poverty. The basic and essential skills of literacy and numeracy are central – schools need to have a much more greatly developed focus on these skills – they are central to developing a level of equality between members of a community. A child who reaches the end of primary education without the basic skills has been disabled by the educative experience because they most surely arrived with the capability of learning in them. Well, perhaps all do not! This emphasises the critical importance of early childhood education. If 94.1% of under-fives have access to pre-school then I worry about 5.9% who do not. This is quite a number and they will be concentrated in particular communities. Each and every school should have a pre-school department. And this begs the question of whether the ECE provision currently available is of an evenly high standard across the sector. Quality measures have to be applied to centres to call out the centres that are simply there making money for the shareholders (and making plenty thanks to ill-targeted government resources). This should be easy but in itself will not be enough. Schools are a critical weapon in fighting poverty. Primary, secondary and tertiary education institutions should have goals that must be reached. But there is only a faint chance of this when we see the education system seemingly moving away from measures at the primary level (ref. National Standards) and from targets for achievement in the secondary school (ref. PBS Goals). Will tertiary follow suit to soften the demands being made? I think not as greater focus is placed on qualification completion, parity of outcomes for Maori and Pasifika and a developing awareness of first-in-family students (as high as 40% of students in some institutions). Does an untargeted fees free environment in Tertiary guarantee that these issues will be addressed? Targets, expectations, performance measures are all weapons in the fight against poverty. Without the targeting of state resources poverty will continue unchallenged. Finally, education has to be accompanied by employment. Working from a base of 22% youth unemployment without clear initiatives that will result in the opportunity to earn and family sustaining wage, will only continue to perpetrate poverty and the ugly social behaviours that can accompany it. So the Government knows where the target is, now it needs a full quiver of sharp arrows. One might have thought that New Zealand had by now understood the critical importance of teaching languages other than English. The shameful shepherding of Te Reo Māori towards a point where there was a possibility that it might be lost as a language that was used, just as the languages of Wales and Hawai’I had become was probably closer than the public understood. Reaching that point is one of potential social devastation. 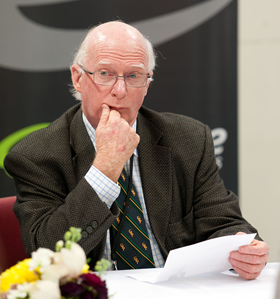 The performance of the NZ Education system and its poor, even lamentable results for Māori over many decades, can be seen in some part as a consequence of an education system that used the first language of the colonising community while demanding that the indigenous and all new-comers learn in a second language. More importantly, the road back from that point where the existence of a language is under threat is has been difficult, expensive and a burden borne disproportionately by the respective communities. But attitudes are changing, actions are being taken, and status to Te Reo Māori is being accorded. Over a long period of time the language will survive and even flourish. Is New Zealand going to sit around and see successive generation of children from the Pacific go down that same route? New Zealand as a South Pacific Island nation has special responsibilities in this! As a country we have only nibbled at recognising other languages publicly – but it is only a start in comparison to the efforts in Ireland and Wales. We have only nibbled at the notion of bilingual signage, simultaneous translation, and use of other languages on public occasions. Progress is seen mostly with the official languages. Canada has found that it comes easily when you want to do it! As a country we still suppress the first / community / home languages of many children in schools –thousands of them. Each day children leave the security of their homes where they understand the language being used to walk into a foreign land where a new and different language is used. At the end of the day they walk home to India, to Samoa, to Somalia, to…. We have shown little commitment to supporting (including teaching) Pasifika languages in schools. This is reprehensible in light of the responsibilities New Zealand has as a South Pacific Island nation. It is not that nothing is being done. But the scale is inadequate, the speed with initiatives too slow and the resources too scarce. “We have a shortage of teachers, let’s make that a priority” is the cry. When it comes to the teaching of community languages this is simply untrue. The different communities that reflect the array of languages has within its ranks large numbers of members of the community who with resources and with relatively light support could teach these languages to children. But of course, teaching remains the closed shop and that has in part been a contributory feature that has exacerbated our slow progress with languages. The conventional programmes taught by the conventional (and talented) supply of teachers has not yet addressed the language issue. So we need to work differently. Scandinavia sets the standard for utilising the community resources in languages to see that those entering its school without the language of the school are supported. The way is there but we now need to find a will! Quite simply, bilingual brains are better brains. A student’s strength in a new, second, or third language is dependent on the strength of the student’s first language. Suppress that language, the language of the home, and you suppress cognitive growth and the capacity to learn. Google Joshua Fishman to find out how the pattern of language loss for communities takes only 2-3 generations to have become an obdurate problem for communities. We know what will happen. We know what needs to be done. But we yet have little appetite to get on with the job of reflecting the pluralist society we have become. Let’s do it in a manner that celebrates our diversity and acknowledges the important role and place in our community of difference.